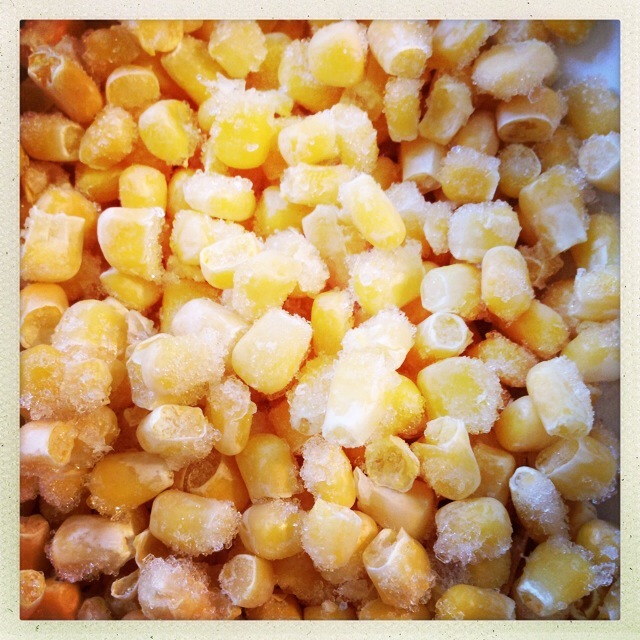 Meat Free Week #3: Would you say your tortilla is half full, or half empty? I would say my tortilla is over full! Always always, when I try to fold my tortilla, it is bursting everywhere! I should remind myself, start small, you can always add more… Growing up, my parents had a cookbook (one of many, I wonder where I got the addiction from?) called “The Well Filled Tortilla“. It might be time to do a bit of study. Legoman is working late tonight, which means MUSHROOMS! Possum and I are both big fans of mushrooms, and sadly, my husband is allergic. We once travelled to France for a holiday and the one phrase he was super confident to say each time we ate out was “Je suis allergic de champignons”. Anyway. When he isn’t home or I’m eating out with friends, I search out mushrooms. I forage you could say through menus and blackboards to find some fungi goodness. Why did the carrot invite the mushroom to the party? 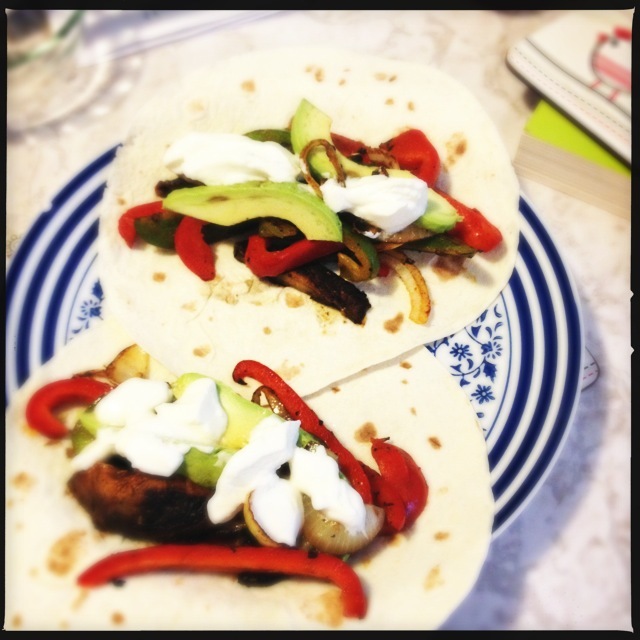 Unless you haven’t already guessed, our meal tonight was mushroom fajitas. Some of Possum’s favourite things piled onto a yummy tortilla. Once served, she taught me that she prefers mushrooms just as mushrooms and not as spiced meat replacement. She loved the capsicum though. 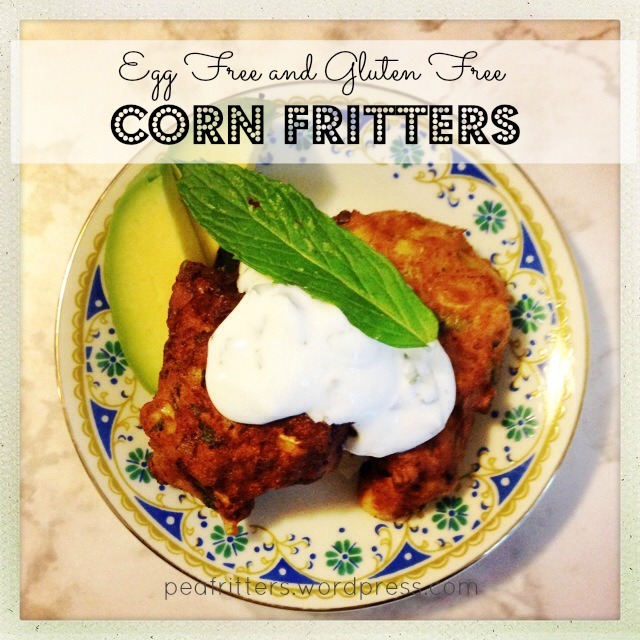 This was a very easy, fast, low mess, cheap, baby led weaning friendly meal. It just didn’t have the same wow factor as last night’s dinner. The winner was making a quesadilla for my 7pm dinner (I ate fajitas with Possum at 5pm) out of some of the leftover curry from last night (was only chickpeas left after Possum ate all the good vegetables at lunch) with some cream cheese and grated tasty cheese. That left me satisfied! And a nice way to use up leftover tortillas and leftover curry (must remember for future reference). Affordability : EXCELLENT. The most expensive item would’ve been the tortillas, but buy them when they’re half price at the supermarket and you’re sorted! 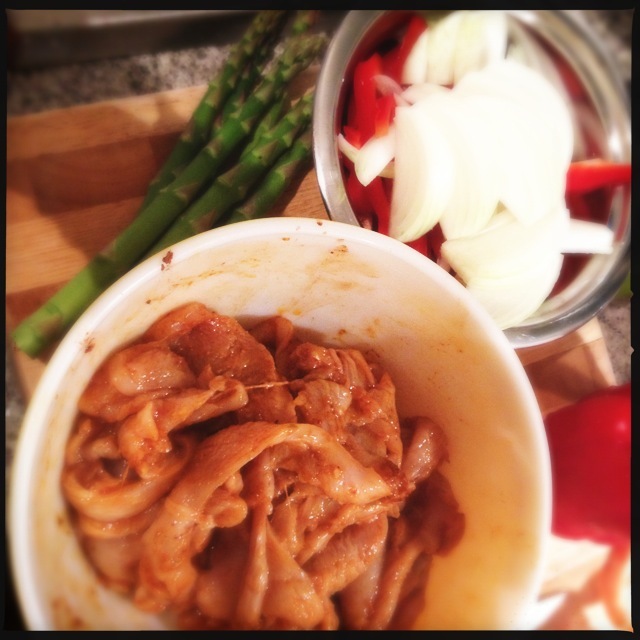 Time Factor : EXCELLENT.Quick chopping/slicing, marinating if time permits and then a quick flash in the pan to cook. An excellent meal if you’re tight on time one evening a week (say you have work or after school commitments). Complexity : LOW. Super easy. And a nice meal to do the “make your own” at the table with avocado, yoghurt/sour cream and any other fixings you fancy. Deliciousness : MODERATE. It was good, just not that good. 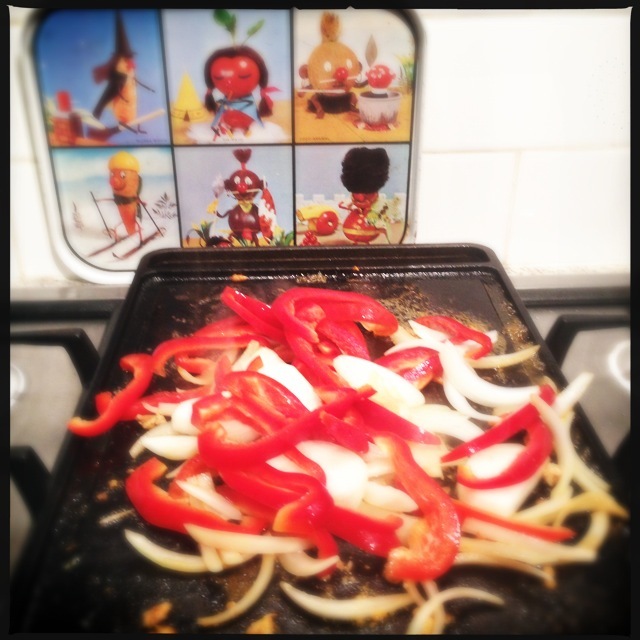 I think next time I would try roasting the mushrooms while the capsicum and onion got the char grill effect. Mushrooms work better with slower cooking. They just seemed to burn a bit on the outside without having the time to get that lovely meatiness about them. Mess : LOW. A bowl for marinating, a hot pan and a chopping board. How messy they are to eat are up to you and your tortilla skills! Tummy Filling Factor : MODERATE. I had two well filled tortillas (no reference to the book intended) and was full immediately after but got hungry pretty quickly again. The quesadilla certainly helped fill the hole. Possum Friendly? YES. Lovely baby led weaning shapes (long sticks) making it easy for bub to hold onto. A variety of flavours and textures; yoghurt, avocado, onion, capsicum and mushroom. Very healthy. A great way to introduce spices and herbs (if you include fresh coriander in the meal). I personally choose to give Possum no tortilla with her meal, but that is just personal preference. Would I make it again? Maybe. ***BONUS QUESTION! Did you miss the meat? Tonight I did. I really prefer chicken fajitas. They seem to fill me up more and I prefer the flavour. Legoman didn’t miss out tonight. Seeing as we had Mexican tonight, I can’t resist the urge to add a Three Amigos clip for you all… Goodnight! Ah, memories. I remember saying these ads at school over and over. 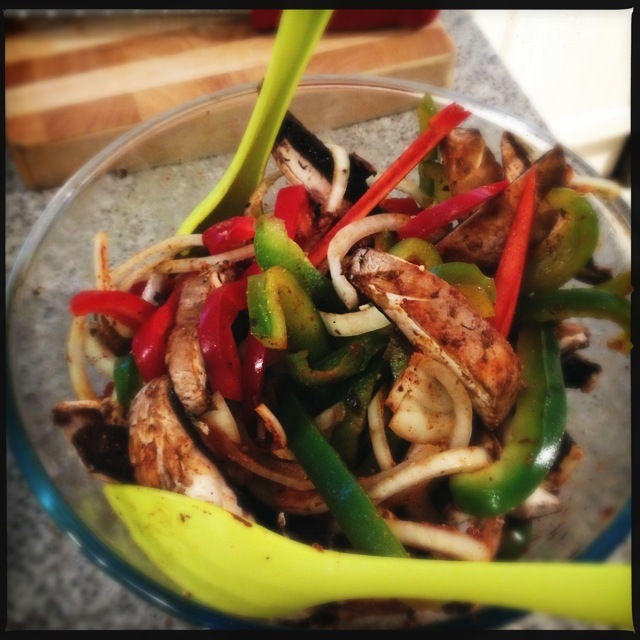 So tonight’s dinner was, you guessed it, Chicken Fajitas. Simple and tasty. I am trying to use hardly any salt in our cooking so that it’s good for Possum to eat (babies should avoid salt as much as possible). The store bought seasoning sachets and kits for mexican food are basically just salt. So tonight I decided to see how I’d go making my own seasoning. I used lime zest, lime juice, paprika, ground cumin, cinnamon, crushed garlic and some black pepper. Verdict? Delish. Couldn’t even tell there wasn’t any salt. I wish I could tell you the ratios I used but it was a shake and see kind of concoction. Our new house has a lovely gas cooktop that is about 5 cm too high for me, but still lovely. It even has one of those long central burners with a hot plate on it. So I thought Fajitas would be a perfect maiden meal to cook on there. I think I was a bit over enthusiastic/impatient and overloaded the grill plate before it was hot enough meaning the chicken cooked but didn’t really char. Lesson learnt for next time. Affordability : MODERATE. A meal of “bits” that you either need to have handy or buy. Thankfully we had everything except chicken and tortillas already at home. 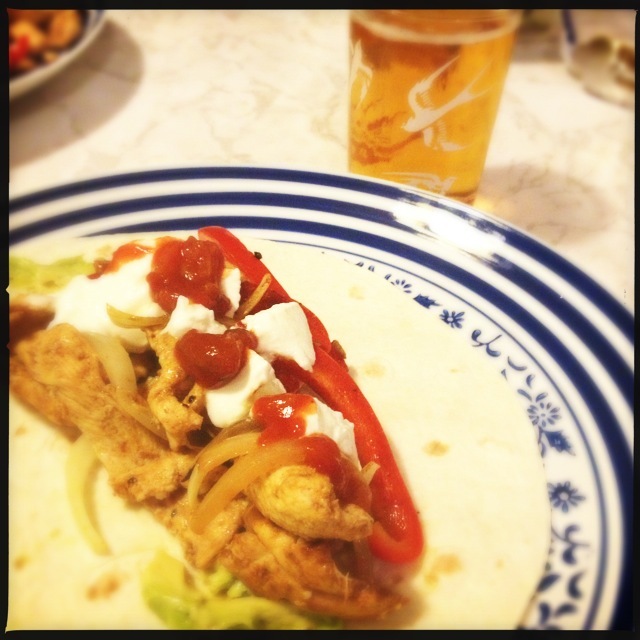 We topped with avocado, yoghurt (full fat plain yoghurt), salsa, chicken, onion and capsicum. Winning combo. I payed the extra dollar or two to get the pre sliced chicken. Saves about 10 minutes in the kitchen plus no yucky raw chicken hands. Time Factor : EXCELLENT. Minimal prep and quick cooking time. If it was a hot sunny day you could sit outside and cook on the BBQ. Complexity : LOW. Really simple and I like the fact it’s a make yourself at the table kind of meal. Great for groups of friends or bigger kids. Deliciousness : EXCELLENT. Really happy with how the chicken turned out. Plus the cool yoghurt and sweet onion are super tasty. Mess : MODERATE. Depends how you like everything presented at the table. We just served out of the avo shell, out of the yoghurt pot and out of the salsa jar. Tummy Filling Factor : EXCELLENT. One tortilla, two tortilla, three! Possum Friendly? YES. 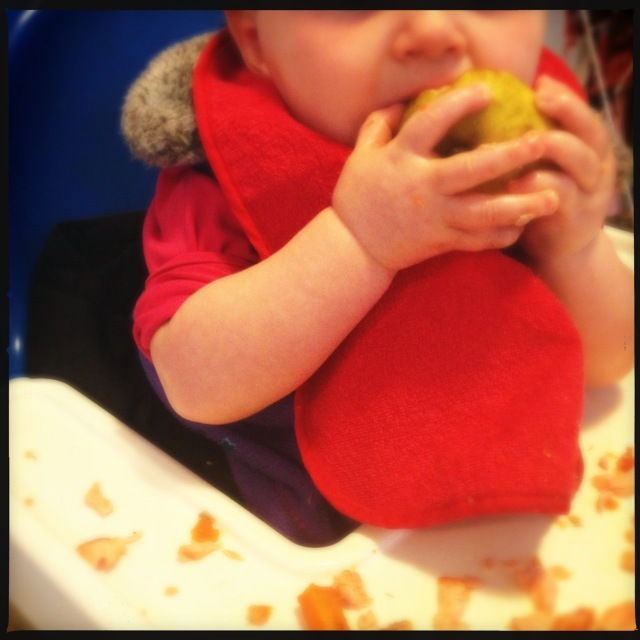 An excellent baby led weaning (BLW) meal. Avo is a great food for babies plus the flavoursome chicken is already in easy to handle shapes plus is loaded with salt free flavour. Yoghurt instead of sour cream makes it even more kid/baby friendly. Would I make it again? Absolutely. And would certainly attempt to recreate the seasoning again. Another wonderful thing about our new place is the fruit trees out the back. We have an apple tree, pear tree and nashi tree. It’s such a treat to step outside and pick fruit for my little family straight off the tree. Today Possum and I picked a Nashi to try. I wasn’t super keen after I bit into it, but Possum happily grabbed the whole fruit and chomped away at it for about 20 minutes. I represented it to her at dinner, and again, chomp chomp chomp. Pretty cool seeing her hold and eat a whole piece of fruit in all it’s natural glory. No puree, no peeling. Another BLW win.